It's the long holiday weekend and while most of you are trying to soak up the last bits of summer, I have fall fashion on my mind. I have specifically been thinking of leather pants. 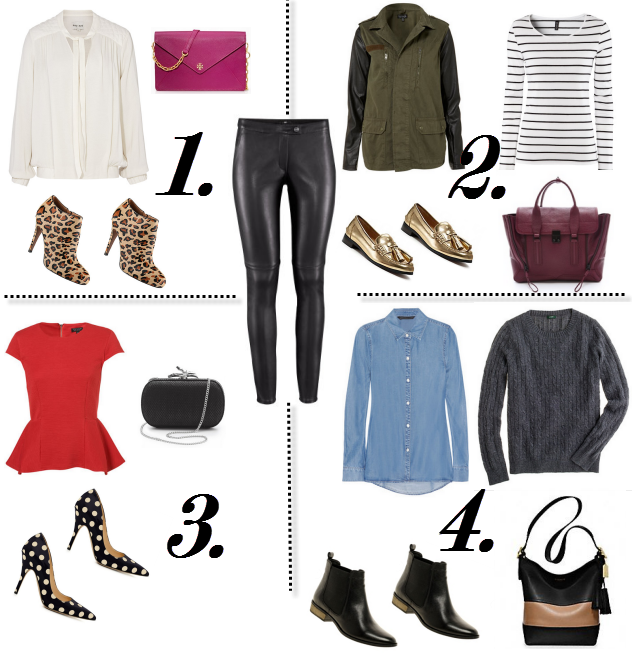 Here are four ways to wear this suprisingly versatile item of clothing. How will you wear your leather pants? They fit really nice and they look way more expensive then they are. Hope you can pick up a pair soon! Yes! I recently got leather pants and was wondering how I should wear them. I love these options!